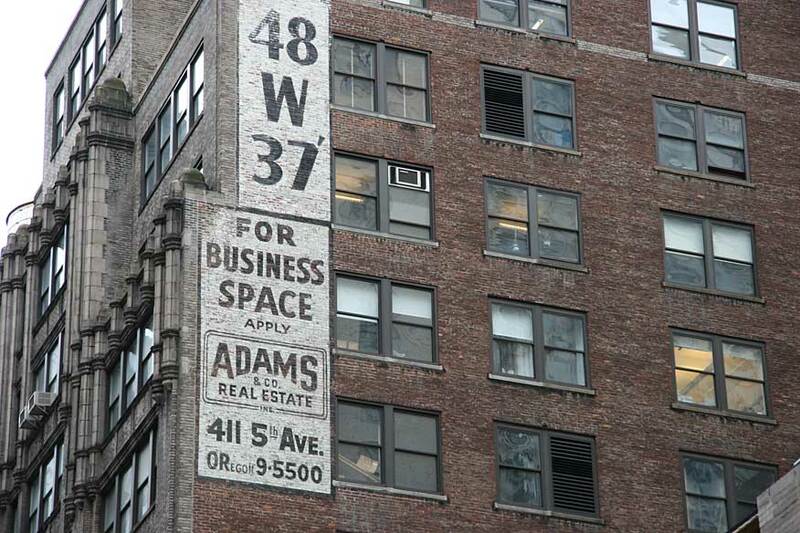 This sign would date no earlier than 1959 when Adams & Co. moved its main office from 1107 Broadway (at 24th St.) to 411 5th Ave. (at 43rd St.) and acquired the telephone number ORegon 9-5500. The telephone number in this form appears in the Manhattan telephone directory from 1959 to mid-1970s. Use of the apostrophe following 37 to indicate ellipsis of the th in 37th is found occasionally in New York signs. A garage next door to the New York Times offices on 43rd St. is another example.